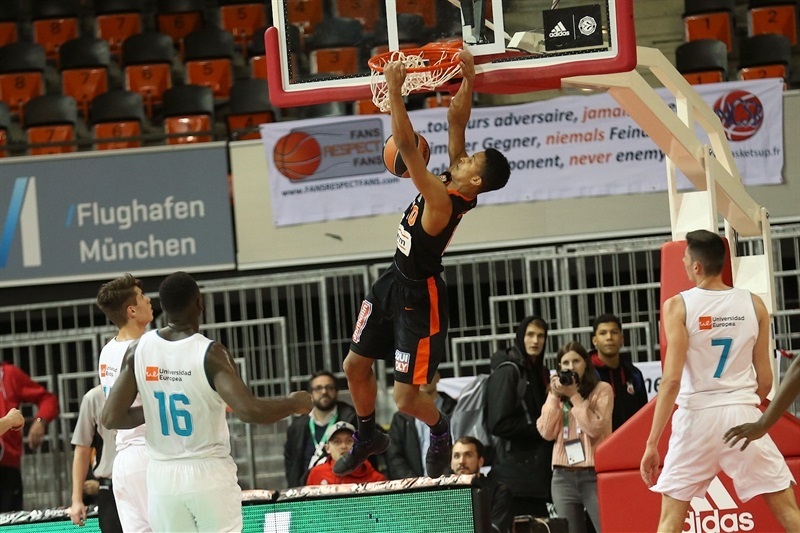 U18 ratiopharm Ulm picked up its first ever victory at the Euroleague Basketball ADIDAS NEXT GENERATION TOURNAMENT by holding off U18 Real Madrid 73-64 in Group B of the ANGT Munich. 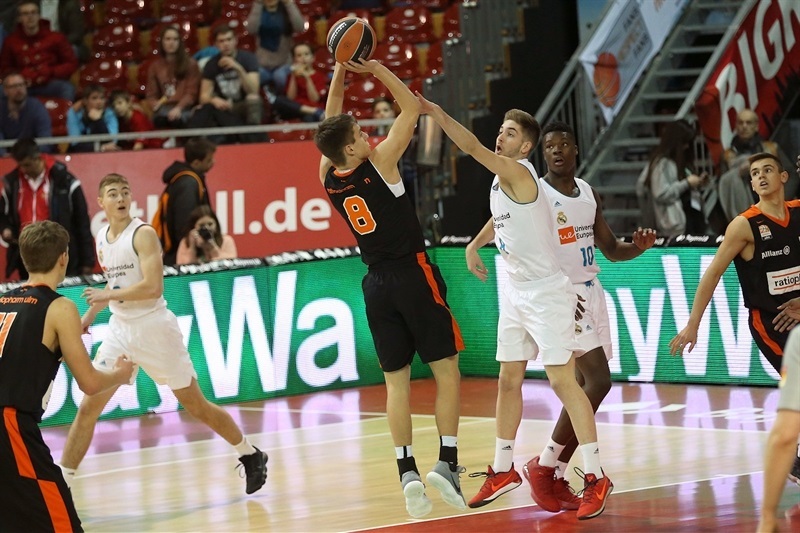 Zachary Ensminger scored 15 points and Timo Lanmueller had 13 points as Ulm finished Group B with a 1-2 record in its first ever ANGT appearance. 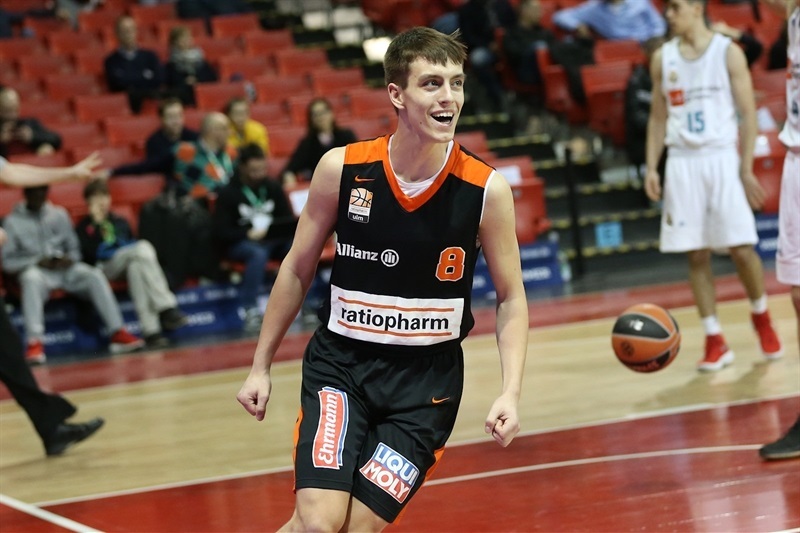 The victory also snapped Madrid’s 21-game winning streak in ANGT qualifying games, dating back to the final of the 2013 ANGT L’Hospitalet against U18 Divina Seguros Joventut Badalona. 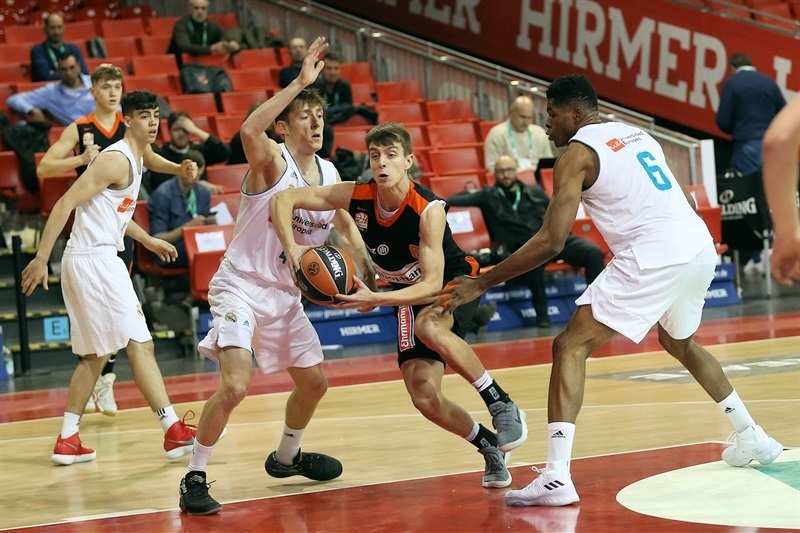 Madrid, which came into the game having already booked its ticket to the ANGT Munich final, finished at 2-1 in the group. 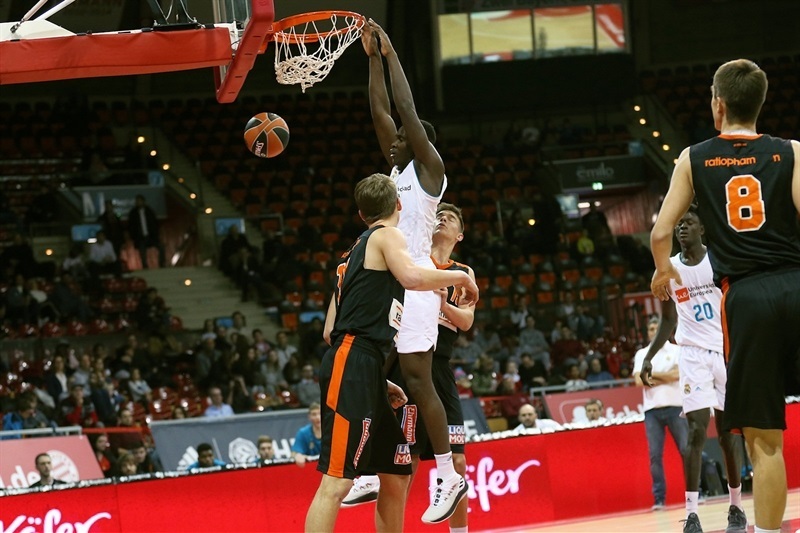 Usman Garuba collected 15 points and Ziga Samar had 10 points in the loss. Madrid jumped ahead 2-8 and after 4 points from Garuba and a three-pointer from Samar the cushion was 8-15. Ulm fought back into the game and trailed just 14-17 after 10 minutes. Ulm scored the first 5 points of the second quarter to take its first lead at 19-17. Tim Koepple had two straight baskets and Ulm was up 24-22 and then Ensminger hit 5 points in a row to move ahead 36-28. And the German side led 41-35 at intermission. Lanmueller and Mate Fazekas both drained three-pointers early in the second half as the margin grew to 49-37. 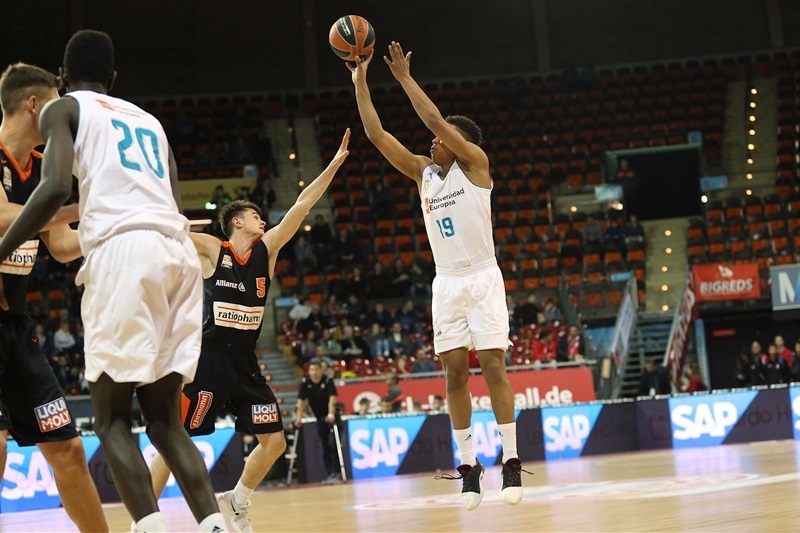 Even though it had already booked a spot in the Munich final, Madrid was not ready to lose as Kareem Queeley picked up 4 points as the Spanish side closed to within 53-50 before trailing 55-50 after 30 minutes. Samar knocked down a three-ball to start the fourth quarter and make it 55-53 but Ensminger punched right back with a three-pointer of his own and Lanmueller drained another long ball to make it 65-57. 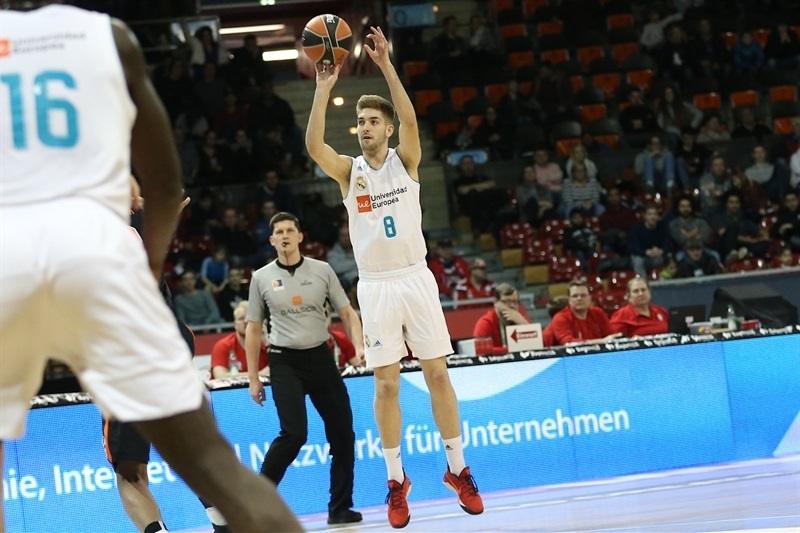 After making it 69-59, Ulm went scoreless for nearly 5 minutes but held Madrid to 5 points and still remained in front. And Jason George made two free throws with 5 seconds for a 72-64 lead and ice the game for sure.